Most of the place was closed (!) and to get anything to eat or drink we had to pay a hefty admission to the 'museum' and then pay like Crazy for everything else. 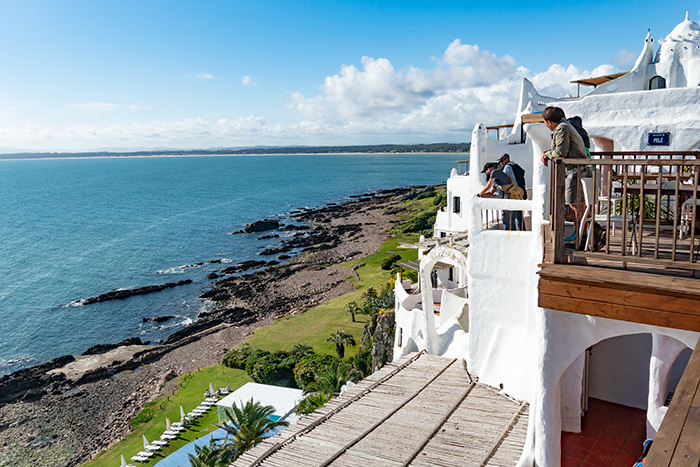 It was a very expensive choice but that's the way it is in Punta del Este. Created by the artist Carlos Páez Vilaró as a "livable sculpture of unpredictable forms", he continued to add on to the structures for 36 years.